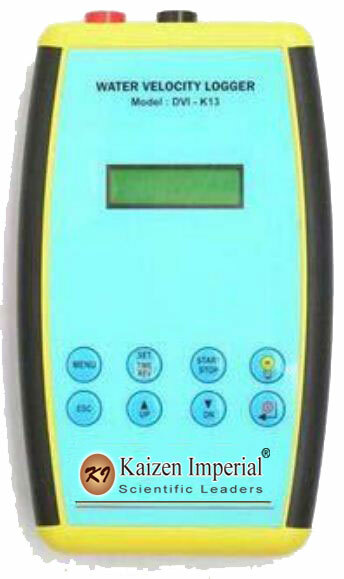 We are leading manufacturer supplier of water velocity logger. it is small electronic hand-held device that can be used to measuer flow velocity from mechanically rotating current meter. its ability to store up-to five current meter data at a time and interface directly to a laptop, pocket PC, or other computing device and provide data in Ms- Excel file format that can be used externally to computer discharge.